A little word of caution first. Tea Tree Oil should not be confused with Tea Oil, which is a seasoning or oil used in foods that is derived from the tea plant. Tea Tree Oil should NOT be ingested, like ever. As with many traditional treatments it is often said that there is a lack of medical evidence to support the claims put forward to promote them. Making this statement is slightly disingenuous because for a product to show that there is medical evidence to support the claims is a highly complex and very expensive exercise. This can include an approved methodology for the study, a series of randomized clinical tests (RCT), analysis, peer review and publication of the results. In normal circumstances these studies are sponsored by drug companies or benefactors. For a substance like Tea Tree Oil and it’s effectiveness in treating skin tags, there is realistically no incentive for these studies to be carried out. Skin tags are not life threatening nor do they medically impair a person’s quality of life. It can equally be said therefore that there is no medical evidence that shows that Tea Tree Oil is not effective in the treatment for the removal of skin tags. Yes. That was a double negative. Stay with us, here friends. 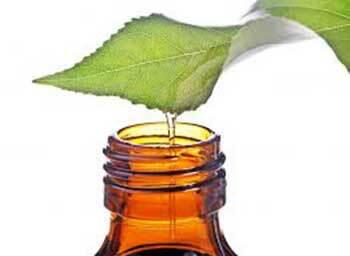 Tea Tree oil, sometimes known as Melaleuca Oil, is an essential oil. Essential oils are oils that are obtained from plants using distillation and evaporation. Tea Tree Oil comes from several plants in the Myrtaceae family, although commercial Tea Tree Oil is typically obtained from the leaves of the Melaleuca alternifolia. The name Tea Tree is thought to date back to the 18th century when the leaves were used by British sailors in the Antipodes Islands to make an infusion as a substitute for tea. Even though the sailors were dropping dead with scurvy (until they were issued with limes to prevent it, which happened to go well with their rum ration) and assorted tropical diseases, the British still had to have their ‘cuppa tea’. Very odd origin story, we know. No medical organization will say definitively that Tea Tree Oil is effective in the treatment of the above complaints. This is mainly because to carry out the required randomized clinical trials (RCT) is expensive and often there has to be sufficient commercial return to justify these trials being funded. Therefore, medically speaking, these treatments are classified as category ‘C’ according to Mayo Clinic, using the Natural Standard evidence-based validated grading rationale. This grading system is only evidence based on RCTs and not on expert opinion, no matter how esteemed that opinion may be. Basically, it’s “folklore” or sometimes known as “an old wive’s tale”. The length of time taken for the skin tag to completely disappear can vary from person to person and the amount and method of application. In some cases there will be a noticeable effect within a few days but in others this can take a few weeks. This will be effective for many people but in some cases, for reasons not completely explained by science, some skin tags will not respond. There may be more success by using Tea Tree Oil in combination with other natural oils, or by using a more focused approach, such as some of the products on this site. Greater Celandine Plant (Chelidonium Majus), when applied directly to the skin can be used to treat warts, skin tags, rashes and scabies. So, Can You Remove Skin Tags with Tea Tree Oil? The answer is yes, but only sometimes yes. Tea Tree Oil has definitely been shown to be effective in removing skin tags in many cases. Often just using Tea Tree Oil on its own works, but for some people to obtain a satisfactory result, additional ingredients may be necessary to provide real effectiveness. Has Tea Tree Oil worked for you? Leave a comment! We’d love to hear from you. Well, I have tried tea tree oil myself and onething I can say about it is that although it is quite effective to cure skin tags but it took me around one month to see some evident results. 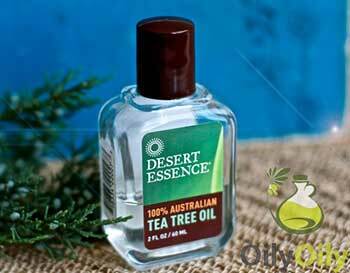 So onething I can say is that the key to using tea tree oil is to be patient with it and result will show overtime. The best part is that it doesn’t even leave any scar behind once the skin tag is removed and the method is absolutely painless. Years ago my kids got lice in school. We treated it with the traditional methods, toxic Shampoo, washing all clothes and placing them in plastic bags fir two weeks, etc. In short, upheaval. Three weeks later the lice were back. I took 2 to 3 drops if tea tree oil to a comb and proceeded to comb their hair. I did this three times over the course of a week. The lice disappeared, forever!!! Great story, Hector. It truly is a fantastic oil! I’ve been putting tea tree oil on a tag several times a day for about 27 days. The base is looking dry. I guess I’ll keep trying a few more weeks since I came this far. Yep, sounds about right, Jaci. You may also want to consider a stronger cream, like Wart & Mole Vanish. Fastest skin tag removal cream on the market! What if the skin tag is on your eyelid? Is tea tree oil a safe and effective method then? Hi Romy. I wouldn’t try it, personally. But as far as safety that close to the eyes, I would use Revitol. Revitol. Check the review here.